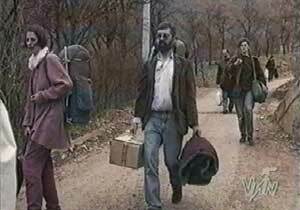 Despite these traumatic circumstances, the participants of this trip were intent on attending the annual session of Sarajevo-based Serbian Civic Council and on extending their support to the besieged citizens of Sarajevo. The name Igman Initiative evokes the risks taken by the group to raise voice of reason and conscience, and the long journey to Sarajevo. After the devastating war of the 1990s, more than 100 CSOs from the three countries gathered in Zagreb in November 2000 at the conference “Prospects of Relations between Bosnia and Herzegovina, the Republic of Croatia and the FRY”, with the purpose of opening up the discussion on the possibilities of re-establishing cooperation between the countries signatories to the Dayton Agreement in the sphere of politics, economy and culture. As a result of the discussion, the participating organizations agreed to institutionalize their activities that would facilitate reconciliation and focus on rebuilding of good neighborly relations among the three countries. At the second session of the conference, held in Novi Sad in March 2001, the umbrella Igman Initiative network was established and a Council was appointed with the idea to provide a greater impact of organizations on decision making by government bodies, as well as on the public in all three countries. Furthermore, the plan was to speed up the process of re-establishing trust and understanding among societies through promotion of confidence building. The Igman Initiative was thus created as a bottom-up network whose projects have been implemented at both micro and macro levels. It is comprised of CSO representatives, political and economic analysts, media, and local government representatives. Coordinating organizations of the Igman Initiative are Center for Regionalism (Serbia), Forum of Tuzla Citizens (Bosnia and Herzegovina), Civic Committee for Human Rights (Croatia) and Initiative for Regional Cooperation (Montenegro). Center for Regionalism is the General Secretariat of the Igman Initiative. The coordinating organizations, strongly led by antiwar activists, have a long history of joint advocacy for the respect of fundamental human rights and freedoms and rights of minorities, as well as consistent work on developing open democratic society oriented towards reconciliation and regional cooperation. The Igman Initiative has been working on developing sustainable institutional mechanism intertwining civic initiatives, combining it with expert and evidence-based advocacy and lobbying activities. The Igman Initiative has fostered partnerships with government institutions at local, national and regional levels, international organizations and a diverse group of civic actors in all four countries. While the Igman Initiative is primarily focused on fostering regional cooperation among the four countries signatories to the Dayton Agreement, there are also cross-cutting issues that are equally important to its work. Some of the conditions for the EU membership are stable institutions, guaranteeing democracy, rule of law, observance of human rights and rights of minorities and reconciliation. Civil society activities in this area are of key importance for the attainment of these goals. In addition to implementation of tailor-made projects, Igman Initiative frequently engages in volunteer-based counteracting in cases where basic human rights and freedoms are violated or certain extreme nationalist incidents arise.